This week we're catching up with LadyAlekto, the brains behind the #1 Battletech mod, RogueTech. Currently sitting at over 100,000+ downloads and 1,000+ endorsements. To begin, could you first tell us a bit about yourself? What sort of things do you like to do when not working on your mod? 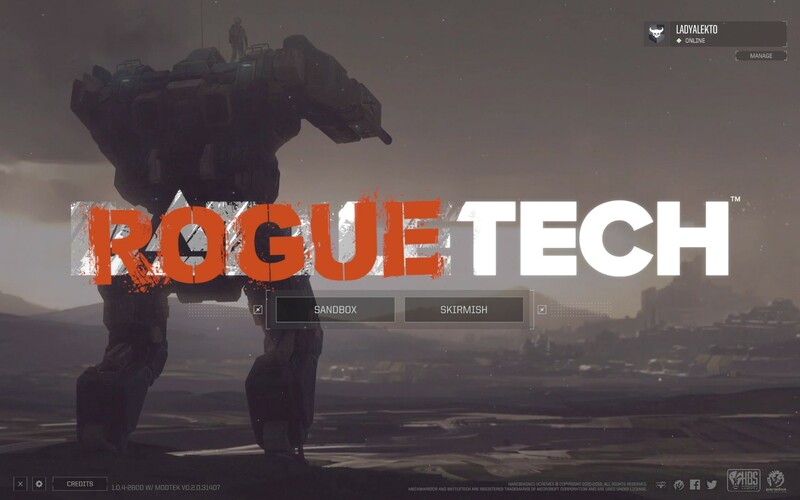 For those who haven’t heard of RogueTech could you explain what it is? A mod for the game Battletech that aims to introduce everything from lore and create an open-ended sandbox where you pit your tiny company against the whole known universe. The goal is to have a challenging playthrough where you have to use every advantage you can get to survive against the whims of RNGesus, provide an advanced AI that won't just suicide but plays for keeps, a strategic layer that isn't just tacked on but provides more depth like having to actually repair battle damage and the ability to customize your Mechs to the fullest. Also, the ability to actually pick your side, want to play for one of the Great Houses? Pick them and you start on their home planet with mechs that are tied to that faction, or just be another Mercenary on Galatea, starting with a bunch of random mechs and freedom to go as you please. With the online client enabled, you fight in an asynchronous multiplayer against everyone else trying to make their faction take over the whole Inner Sphere. 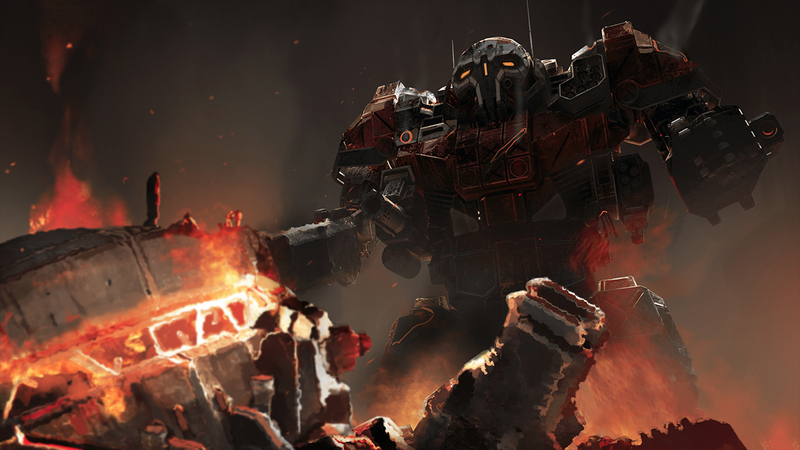 How did you first get involved in modding Battletech? I was curious what was possible with the game files and then wanted a couple of Inferno SRMs (Short Range Missiles), it all went "downhill" from there, looking to add ever more toys I missed, trying to make a smarter AI and cooperating with the awesome mod community what else could be done. You work as part of a small team on the project, can you tell us how each person contributes to the overall mod? Everyone brings their own ideas and vision to the mod. I work on the gear, AI, the majority of mechs, balance and keeping it all together with duct tape and spite. Morphyum﻿ works mostly on the Simgame DLL files, like salvage improvements, drop cost, variable maintenance and the making the Inner Sphere map work with the online client. He is helped by FrostRaptor to make the server as stable as we can. Cargo_Vroom (aka SrJoben)﻿ creates new tanks and adds new contracts to the lance generation. They also smooth out many issues both had in the vanilla game. Janxious (aka JoelMeador)﻿ contributes many small parts to RogueTech such as fall damage, melee improvements and the “weapon realizer” - this allows for many new mechanics not found in the base game. 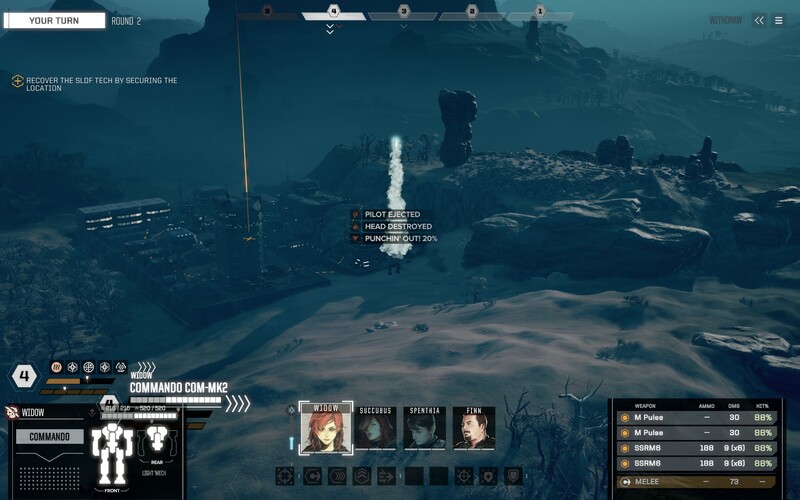 He has also taken over as curator for ModTek﻿ and the BattleTechModLoader, with a RogueTech specific fork to allows us to inject the new factions we’ve created. Tim (aka Guiltyspark34)﻿ is basically our community guy and the “Keeper of the Wiki﻿”. Our newest member, GentlePayload has been adding new mech models. Most recently MadCat MKII, Arctic Cheetah and the Bushwacker. The CustomComponent﻿ is made by Denaden﻿ and the Mechengineer rewriting to MechLab allow for greater control over how each piece of the mod interacts with the other parts. DonZappo﻿, who created the Consolidated Company Commander﻿ mod also deserves special thanks for sharing his Pilot Quirks and improvements to the Panic System from their Genivler mod. Genivler is a great alternative to those who may find RogueTech too difficult. Lastly, there is Sheepy, the creator of AIM (a rewrite on how attacks play out and how the combat game GUI works) and Turbine (a performance improver that allows the game engine to load the ~8000 files in RougeTech). A couple of honourable mentions go to m22Spencer for the performance fixer, SolahmaJoe who was first to figure out how to add models into the game and BloodyDroves - author of Annihilator and Assassin. Arcanan and Alandauren who contributed many DLL and code fixes. AkodoReign who made many totem mechs and kitbashed additions. MXMach who keeps coming up with new overpowered toys. LB who broke their install enough to know how to fix almost any technical issue. RobertMerlow, GroggyGrognerd and GingerMagician who often stream RogueTech. Razunter who helped with the installer script. Cwolf who made the Modders Debug Tool and MissionControl features which we plan to add into the mod. Have you had any interaction with the developers of Battletech during the development of RogueTech? We have, in general as modders, but the code piece that allows enemy spawns to be based upon factions is actually added by Harebrained Schemes for RogueTech. Especially the HBS team member known as “Eck” helps us to understand a lot of nuances of the game. What tools do you use to create your mods? I for my part mostly just use Notepad++ for the JSONs and DNSpy to find what I can manipulate through them in the game's code. Other coders use VisualStudio to write the DLLs for the Harmony injection to change and add the mechanics into the engine. Have you ever worked on mods for a different game? This is the first I actually released, but I've modded my games going all the way back to Doom and always love taking things apart when I can. Now it’s been available for a few months, what is your opinion of the Donation Points system? How do you see the current state of modding across the industry? Depends a lot on the publisher, for me if a game is moddable it is a big reason to consider buying it. I dislike how games get evermore closed down, or even modding being impacted by game updates like it happens with the Fallout 4 Script Extender. Those of us who use and make mods are the most loyal customers, often buying DLC just for a single piece of code to reuse, but instead do some companies try to milk and shut down the art fans create, which is just a shame. Who is your favourite modder and if you could ask them one question, what would it be? That's a tough one since I'm really really bad with names, but I'd ask each of the authors of my fav mods what made them decide to create this specific mod. Do you have any future plans for your mods you’d like to share? I really look forward to when I start rolling out the mission improvements with Cwolf's Mission Control mod, it already is very fun with what it allows us to do. Do you have any advice for people in the community who might want to start modding Battletech? Get yourself Notepad++ and DNS Spy, use jsoncompare.com to find errors, embrace the output log and prepare to break it more often than have it work. If you are interested in getting yourself into harmony patching, read that wiki and be even more prepared to be driven crazy. But for all that is possible, the modding community is just wholesome and awesome, everyone will help when they know something. A big thank you to LadyAlekto for answering our questions. If there's an author or mod project you'd like to know more about, send your suggestions to BigBizkit or Pickysaurus. Tell us where the urbie hurt you. Villonklir has a point. I've tried to run RT a few times and had nothing but problems. Especially with missions not executing once you get to the destination. I've gone thru the configuration files and seen how much of a mish-mash it all is. I also disagree with a lot of the changes to weapons and equipment. I'd probably be less jaded on the mod if the one time I had pointed out inconsistencies with heat and recoil, LadyAlekto hadn't mocked me and lock the thread without any kind of reasonable response. Kind of like your response chidosity. It is these kind of responses that make the new generation of modders and developers look like a bunch of children in the eyes of old-timers like me. As to you Villonklir, if you are going to insult a project, add some reasons for your opinion if you want an intelligent response. It may be worthwhile to consider a 'custom' license for the assets beyond what is merely listed on the NexusMods site. Something like Creative Commons with the NC and SA provisions would likely work well for a project of this scope. I'm dismayed at how the RogueTech Enhanced folk seem to have made a 'mod for a mod' but neglected to so much as credit the RogueTech team for the work they've done in the modding community. Highly disrespectful of them. Literally not even a link to the actual RogueTech mod itself despite referencing it in their haphazard install instructions. Outstanding work, the team should be proud. I didn't know that there were more mods made by multiple people outside of the Bethesda games. It is inspiring to see how far people can go when working together. Thanks and congratulations for your work! This mod is absolutely phenomenal, for the first time I've donated money to a mod creator and it won't be the last. If game developers can charge $20-$50 for a season passes that adds minimal content a mod like this should be worth an easy $20. For those that are interested, I actually have a metric I'm using; I consider a game good value if I get 1hr/$ spent of enjoyment. NO GRINDY B/S actual content. I consider a mod worth at least .50c on the dollar so every 40hrs I'm donating $20. If not for RogueTech I would have left BattleTech for new shores. 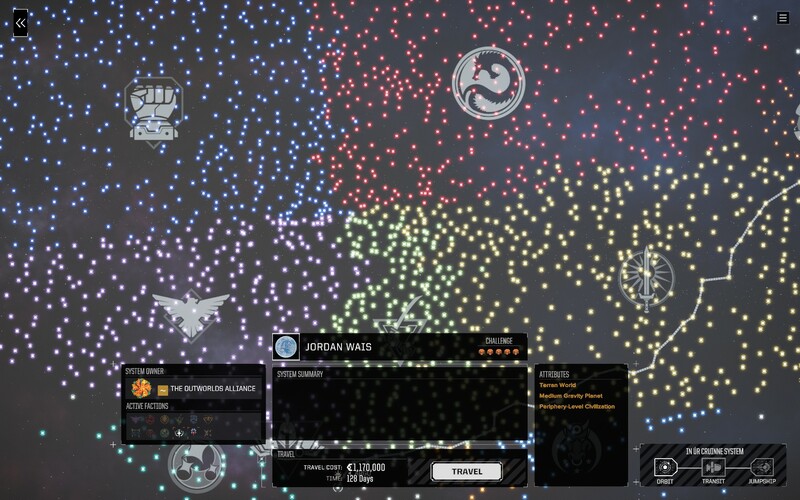 Now I close in on 250 h of RogueTech and don't plan to stop anytime soon!